There was not much promise in the week beginning August 1. On Tuesday, following the Congressional battle over the debt ceiling, President Obama signed into law the Budget Control Act of 2011, and one day later national debt surpassed 100 percent of gross domestic product for the first time since World War II. On that same day, Wednesday, August 3, Nick Turse posted to Tomdispatch.com an article about the clandestine reach of the U.S. Special Operations Command (SOCOM), now metastasized to 120 countries, where special op teams from all branches of the military carry out “assassinations, counterterrorist raids, long-range reconnaissance, intelligence analysis, foreign troop training, and weapons of mass destruction counter-proliferation operations.” And while Turse’s chilling exposé was probably seen only by lefties – it went to Huffington Post, Common Dreams and Counterpunch within a day – by Saturday the New York Times had published a long and thoughtful piece by Drew Westen about the demise of our hope in Obama (“…the arc of history does not bend toward justice through capitulation cast as compromise.”) that quickly became one of the most widely e-mailed of the year. What a week! As some of us clicked frantically through websites looking for the elusive good news, others went outdoors into the novel Oregon sunshine, where news might never reach at all. But then, on August 3, the vets came to town. At Portland State University’s historic Lincoln Hall, 400 veterans convened for an annual national convention to talk about peace and to scheme, on several simultaneous fronts; to wage it even in the face of a war machine so lucrative that even Eisenhower might gasp. Hope, in the form of resilience, resistance and nonviolent revolution, was brewing in our midst. Shea, along with other members of local VFP Chapter 72, spent months planning the convention, which Portland hosted for the first time. Vets arrived from across the country for five days of film, music, tabling and book sales, speeches and a business meeting at which 16 resolutions, on issues from depleted uranium to Palestine to toxic chemical dumping in South Korea required their vote. Shea, an artist with a day job at the Oregon Symphony, personally curated an exhibit at the Littman Gallery called The Tenacity of Hope. On Thursday, day two of the convention, the workshops begin and the corridors of Lincoln Hall are loud with talk and laughter as vets, WW II to Iraq, high five, hug and try to figure out where each of the nine offerings will be held in that first time slot. Back-to-back presentations include two on PTSD (encounters with the criminal justice system and transformational healing), drone payloads that target civilians, helping GIs who want out of the military, and a teach-in on the basics of organizing behind VFP’s new campaign: How is the War Economy Working for You? In the afternoon, I pass up a session by Col. Ann Wright, who resigned in 2003 in opposition to the Iraq war, talking about organizing the 2011 Gaza flotilla; and a panel on the continuing tragic aftermath of war in Vietnam, where people still sicken and die from Agent Orange, and unexploded landmines still maim and kill. I choose to watch “The Welcome,” a powerful new 90-minute film shot during a unique veterans’ healing retreat in Ashland, Oregon. Under the guidance of author and storyteller Michael Meade, veterans begin to transform the raw nightmare of war into poetry. The film ends with retreat participants reading their poems to an audience of 650 people who pack the Oregon Shakespeare Festival’s Bowmer Theater. to healing when we came back. Shea appears in “The Welcome,” one of the two dozen vets who went through the retreat with Meade, but misses the VFP screening to give a workshop on recent U.S. actions in Libya, where we bombed “to protect civilian lives” and in Honduras, where we facilitated the military coup but take no notice of death squad murders of democracy activists. The Welcome, released in April of this year, is making the rounds of festivals and will soon be available for purchase. Long-term activist Mike Dedrick is in Portland for the convention, and I ask him how he got into the military. Whereupon he was trained as an intelligence analyst and interrogator, and sent to Vietnam. It was 1967 and Dedrick was 21 years old. After a stint in a factory and two years learning to be an offset printer, he went back to the building trades. Meanwhile, Dedrick had begun his activism in 1971 as the VVAW Regional Coordinator for Washington and Alaska, working on counter-recruiting and running deserters and soldiers gone AWOL across the border to Canada. The one victory he remembers from those years came on August 4, 1974. “I was in the Century Tavern, on University Way, when Nixon resigned, and the owner broke out a case of champagne. That was a good moment but, finally, I just couldn’t do it anymore. “So there’s a long history of this [activism], going back to the sixties, only a lot of people, including myself, didn’t follow through. “In ’91, the Gulf War really hit me quite hard. I really didn’t think this country would do what they did on the so-called Highway of Death, butchering all those Iraqis,” he says, speaking of the night raid on Feb. 26, when American aircraft attacked Iraqi military personnel retreating along Highway 80, which runs from Kuwait to Iraq. 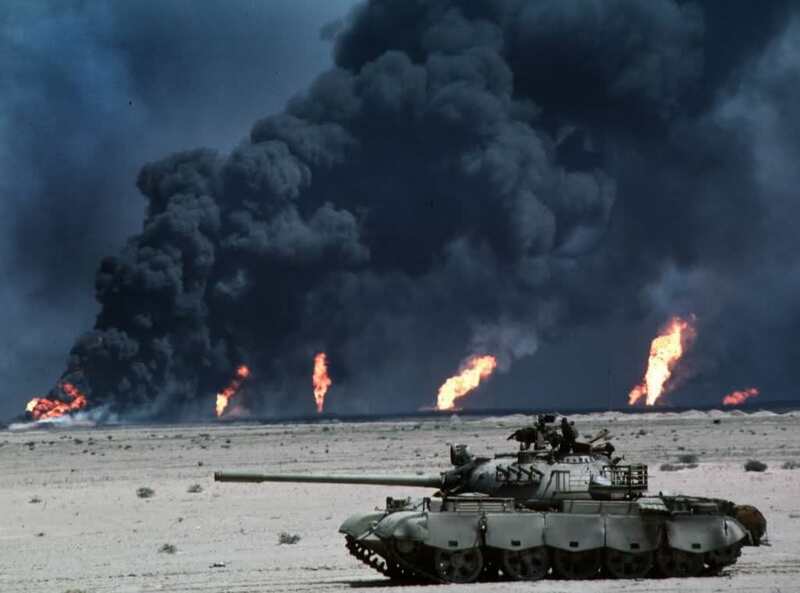 The first Gulf War saw the longest strike mission in the history of aerial warfare, and those strikes were televised, giving many of the older vets fresh nightmares. But it was the invasion of Afghanistan that roused them to action. In 2002 Dedrick helped organize Seattle’s VFP Chapter 92 and served as its first president. Today it has 150 members and is one of six chapters in the state of Washington. The Seattle chapter has a pool of half a dozen members who do tabling at state conventions of school officials – counselors, superintendents, principals – where they talk about a key provision of the No Child Left Behind (NCLB) act where, every fall, students can “opt out” of the requirement that the school give the student’s name and contact information to the military. “I see a potential for some structural institution changes with this approach,” Dedrick says. Of course, Dedrick and his VFP colleagues continue to go out to schools to talk to kids directly, describing what a war looks like, what it feels like to be in a war, military life, the economics of war. Dedrick had hoped to make a presentation on counter-recruiting, but by the time he contacted convention planners, one Jim Murphy from Ithaca, New York, had already made that request. “So I called him up and piggy backed,” Dedrick says. When the two men met for the first time in Portland, they recognized they’d had parallel lives. Jim Murphy served on temporary duty in Vietnam in 1966, and again in 1968 as an Air Force radioman. Seven years ago, he retired as dean of a NYC public high school, a career of 23 years. An anti-war activist since 1971, Murphy is currently with the Veterans Fellowship of Reconciliation chapter in Ithaca, and he co-founded New York Veterans Speak Out, which does truth-in-recruiting presentations in NYC and around the state. “The military has been treating our schools as a press-gang operation,” he says, then goes on to describe the success of the Washington strategy of targeting school administrators. When approaching superintendents and principals, he advises his audience, don’t talk in political terms, but rather politely point out that their job as educators is to honor students’ rights to information, including balanced information on controversial issues. In New York, Murphy and his colleagues give presentations in the South Bronx and Washington Heights, places where the “poverty draft” is vigorously at work, that is, the military’s campaign to target low-income neighborhoods with promises – very questionable promises – of education and jobs. Joanne Luchini is in the audience with hand-outs to distribute at this workshop. The stepped-up recruitment effort under the NCLB Act got more civilians involved, and Luchini works through a Portland organization called Recruiter Watch PDX. Her volunteer work is a conspicuous example of how civilians can partner with veterans to do this work, though she is quick to point out that, when it comes to telling the truth about war or military culture, it’s the veterans who have the credibility. As one of the many thousands of people who support Bradley Manning, the young Army intelligence analyst accused of leaking to Wikileaks a video showing a US Apache helicopter crew killing two Reuters journalists and other civilians in Iraq, I arrive early for the Friday afternoon panel, Campaign to Free Bradley Manning and All GI Resisters. The presenter is Jeff Paterson, a young Christopher Walken look-alike who was the first public resister to the 1991 Gulf War. He founded Courage to Resist, which raised the money to get Manning a civilian attorney and pressured the government to get Manning moved from Quantico to the Joint Regional Corrections Facility at Fort Leavenworth. Since the move, Courage to Resist reports, Manning’s overall mood has improved, he is regularly in touch with his new defense team, and is allowed visits from his family. “We are reclaiming the path of transparency and holding our government accountable,” Paterson states with evident pride. This year, the Iraq Veterans Against the War (IVAW) is holding its own convention jointly with VFP, though because of dual membership (two Iraq vets serve on the national VFP board) and the inter-generational camaraderie, there’s no sense of separation. According to Daniel Shea, IVAW has modeled themselves on the film “Sir! No Sir!” by opening GI coffee houses. Jorge González is on the Resisters panel to briefly describe his work at Coffee Strong, an Internet café within blocks of Tacoma’s Fort Lewis. The café provides a safe place for active duty soldiers, military families and veterans to discuss war, deployment, PTSD and the hardships of life in the military. Movie nights and concerts attract soldiers who live on base and are looking for a hangout; once there, they can make connections to the GI Rights Hotline, National Lawyers Guild, Soldiers Project NW, Women Organizing Women, and Pack Parachute — that is, organizations that provide information and services. Sarah Bjorknas has come down from Vancouver, B.C. to talk about their policy, now in its seventh year, of welcoming war resisters at the Catholic Worker House on East Pender Street. She explains their program of advising about legal status, offering hospitality and social support, while trying to persuade the Canadian government to get on the side of sheltering war resisters. She is dismayed that the government, which has now turned right, is not inclined to repeat the generosity of 1966-72, when 16,000 U.S. male immigrants (considered a solid estimate and probably low) crossed the border, largely congregating in Toronto’s Yorktown and in Vancouver. It is late Friday afternoon, and the auditorium is filling with people ready to hear S. Brian Willson talk about “Going AWOL from the American Way of Life.” Willson, who has a lifetime of protests, was in the national spotlight in 1987 when he lay in the path of a munitions train that accelerated and took off his legs. I don’t go into the auditorium. Though I plan to read Willson’s new book, “Blood on the Tracks,” I can’t absorb one more word. Rather, I want time to think about all the passion and anger, energy and resolve, determination and hope of these two days. As we come up on the 10-year anniversary of the so-called War on Terror, I believe there is no more important task than to encourage and support resistance inside the military, and VFP are pointing to a variety of ways we can all contribute. Bio: Portland author Martha Gies is the daughter of Lt. Carl Parker Gies (1915-64), World War II pilot and recipient of the Distinguished Flying Cross. She is also the newest associate member of Veteran’s for Peace.